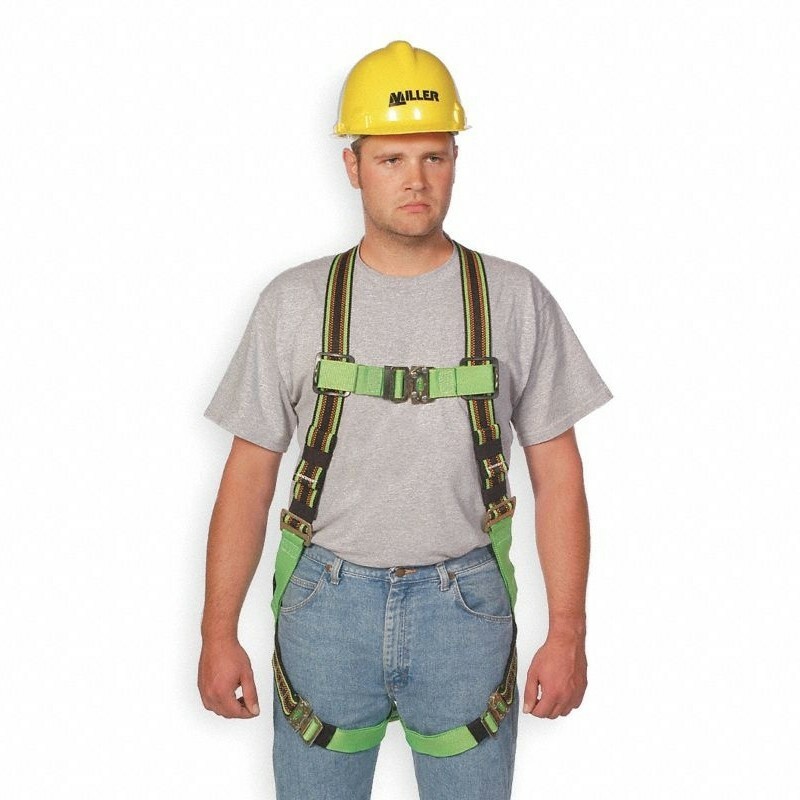 DuraFlex Ultra® synthetic elastomer webbed harness stretches to provide maximum comfort and mobility and conforms to the shape of of the wearer. The comfort-touch back D-ring pad features breathable fabric webbing. Pull-free ring provides an attachment point for the lanyard when not in use, to help minimize hazards associated with a loose lanyard. Stand-up D-ring allows simple attachment. Webbing leg straps are solid color.